POSTED Thu, 04/09/2015 - 16:00 | POSTED BY Traci C.
The 2015 Star Wars Weekends start next month and guests can now make their reservations for the special 'Feel the Force' premium packages. This year there are two packages available: the premium package and the premium deluxe package. POSTED Sat, 01/17/2015 - 18:00 | POSTED BY Traci C.
The iconic Sorcerer's Hat at Disney's Hollywood Studios is now surrounded by construction walls and the process of dismantling the hat has started. The most recent photos of the hat show nearly half of the park's former symbol has been removed but there is still quite a bit of hat left to go. POSTED Sat, 10/25/2014 - 05:00 | POSTED BY Traci C.
Love it or hate it, the 122-foot tall Sorcerer's Hat is an iconic symbol of Disney's Hollywood Studios. And now it has been confirmed by Disney that the much-maligned hat will be removed from the park in early 2015. There have been rumors of the hat's demise for several weeks as its image was missing from newly printed park maps. 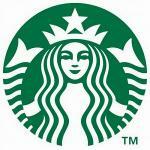 POSTED Wed, 09/03/2014 - 05:00 | POSTED BY Traci C.
Another Starbucks location is opening at the Walt Disney World Resort. The new Starbucks will be located at Disney's Hollywood Studios and is scheduled to open early next winter. The new location at Disney's Hollywood Studios will be named The Trolley Car Cafe and is being built in the former location of the L.A. Prop Cinema Storage merchandise store on Hollywood Boulevard. While dedicated Star Wars fans wait with baited breath for the debut of a fully immersive new land at Disney's Hollywood Studios, the powers that be have seen fit to integrate as much galactic fun as possible into the Park. Most of this, so far, has come in form of new entertainment, and Star Wars: A Galaxy Far, Far Away is one such show. Disney Parks have been selling helium filled balloons since 1955, and they've become a time tested fan favorite souvenir for Walt Disney World guests of all ages. While these bright and beautiful souvenirs are always popular, there are just a couple of things to remember when considering a purchase. With thousands of fans set to descend up on Disney's Hollywood Studios for more than a moth of Star Wars Weekends I thought I would share one of my favorite spots in the Park to grab a bite to eat and have drinks and unwind, the Hollywood Brown Derby Lounge.